Uthralikkavu Pooram is held at Sree Ruthira Mahakalikavu temple is dedicated to Goddess Kali. 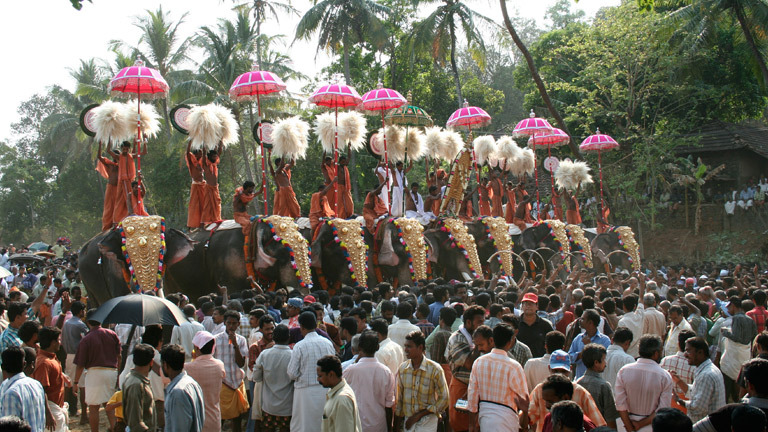 The eight day celebration is marked by the line-up of 21 caparisoned elephants. Traditional musical ensembles like panchavadyam and pandimelam add more charm to the festivities.